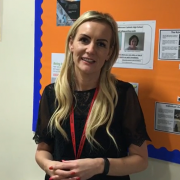 Racing to School’s Aintree Beacon Programme is now into its fourth academic year, and we caught up with Maricourt High School’s Careers Leader, Danielle Lawler, to hear about the plans for this year and the impact of the programme so far. The Beacon is a joint venture between Racing to School, Aintree Racecourse and the Aintree Equestrian Centre to support pupils from Maricourt High School and its four local primary schools, all of which are in the Aintree catchment area. It was set up with the initial goal of offering long-term education and careers provision for pupils in Year 5 right through to Year 13. “A key example of a student who has really blossomed through this programme is Year 12 student Grace Anderson. Firstly, her contribution to the Year 8 Literacy Day gave her the opportunity to work as part of a team. Grace was very reserved and was more often an observer in the group. Grace’s team went on to win the literary competition and experienced a day at the races as special guests. Grace’s journey continued when she applied for a week summer placement at Aintree Racecourse, when she was up against stiff competition. Her application letter and answers at interview helped to book her place for a week-long placement at Aintree. This opportunity allowed Grace to take part in the variety of activities have made her believe in herself and allowed her to reflect on her experiences. Grace has now decided on a career as a dentist and is currently studying in Year 12. 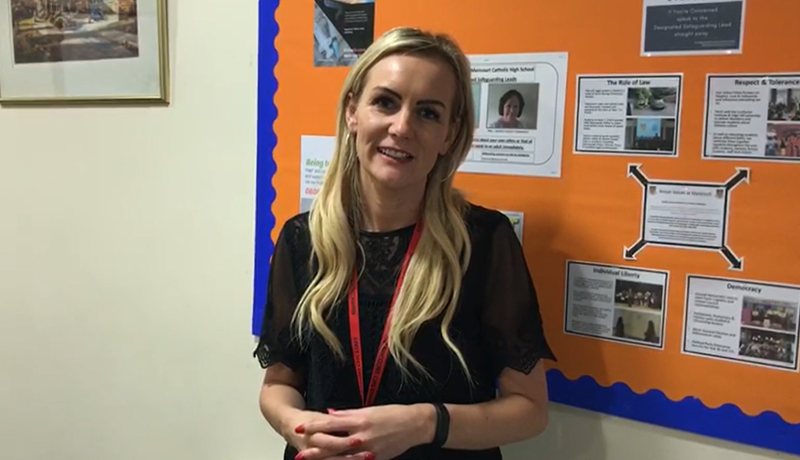 She has volunteered to do a speech about her time at school and how taking part in careers opportunities and meeting with various employers have shaped her direction. She is now ready to stand up in front of over 250 professionals at the Liverpool Tate Gallery at the end of January and tell them the importance of them getting involved in local schools to help support the employability of the workers of tomorrow. “Who would have thought that Grace, the student who really had to push herself to get involved in the Year 8 Enterprise Day, would go on to speak at a conference in front of the Liverpool Metro Mayor?” added Danielle. Grace’s story is exactly the kind outcome that the Aintree Beacon was set out to achieve and we are delighted to hear of her progress and her boosted confidence. We are very thankful to all the staff at Aintree Racecourse, the Equestrian Centre, Maricourt High School and the four primary schools for their support in delivering the Beacon. Generous funding from The Racing Foundation, who have funded the project since inception, has allowed Racing to School to commit to supporting the Beacon to at least 2021.